I’ve been wearing dresses all month, because December is Dressember! Now, while this is surely much easier for people who live in a warmer climate, I’m enjoying myself. There were a few very, very cold days where I had to add several layers over my dresses and tights before I could go outside, but it’s worth it. Here’s a recap of the last couple of weeks or so. For the first part of the month, head on over here. 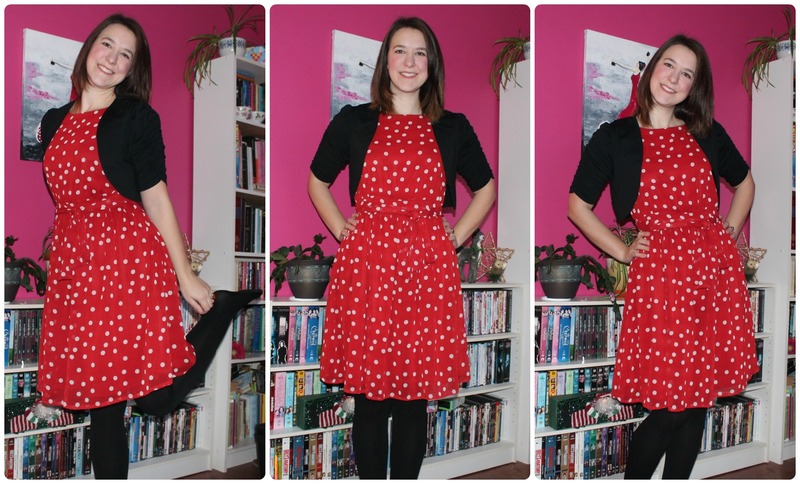 Day 10 – My Minnie Mouse look. 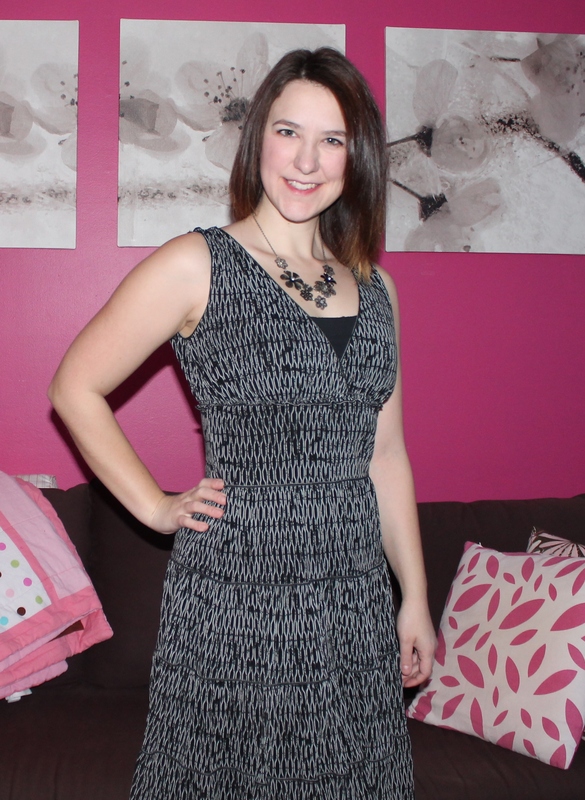 Day 11 – My birthday dress! 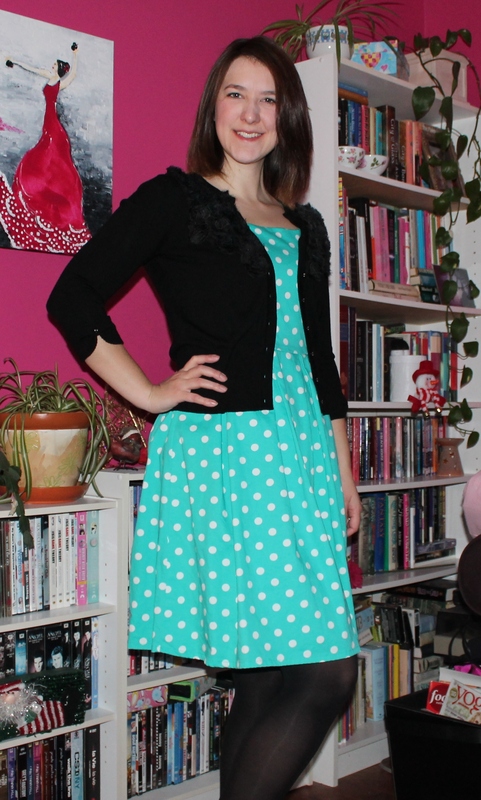 I bought this dress from Modcloth and wore it for the first time on my birthday in November. Day 12 – A photo in my classroom before the students showed up. The only calm moment of the day! 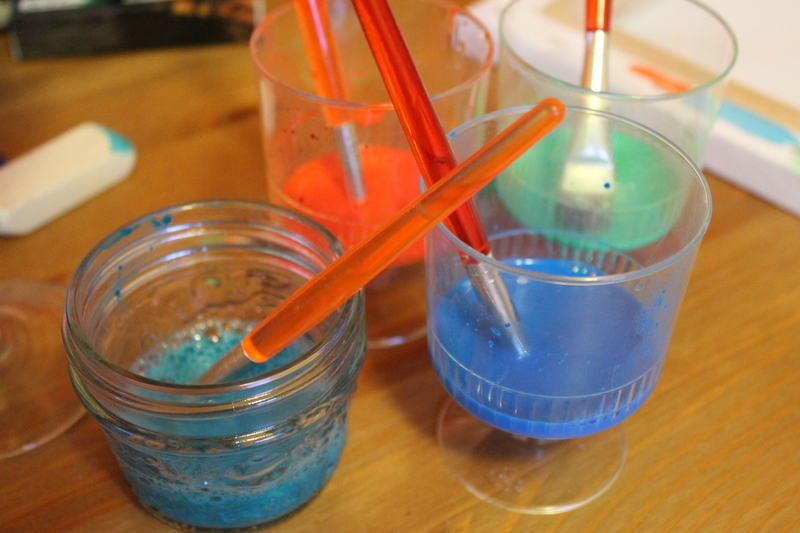 Day 13 – My first pair of coloured tights. I wasn’t sure the look would suit me, but I like it! Day 14 – It was so cold, but I wanted a picture outside! 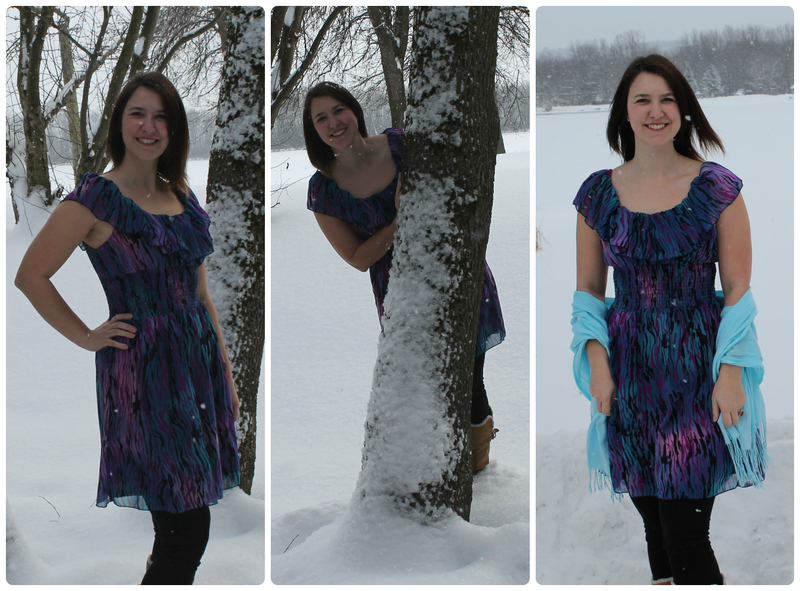 Day 15 – A little photo shoot in the snow! 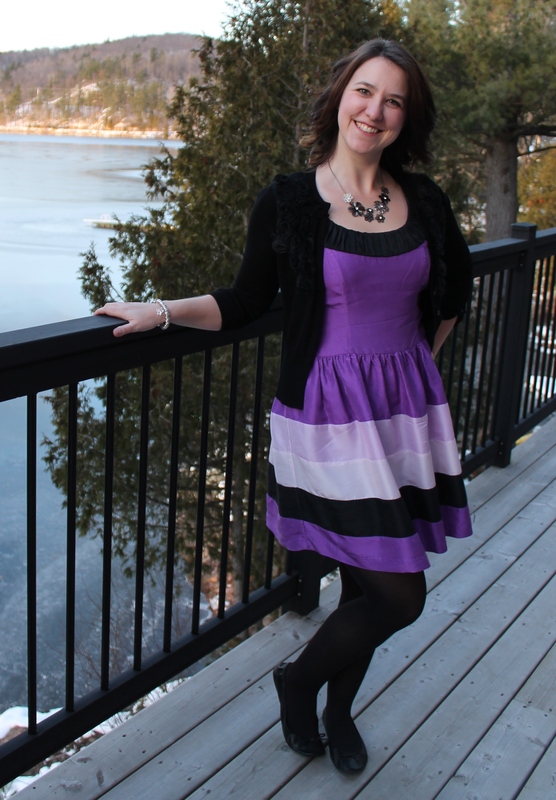 Day 16 – Purple for Monday! 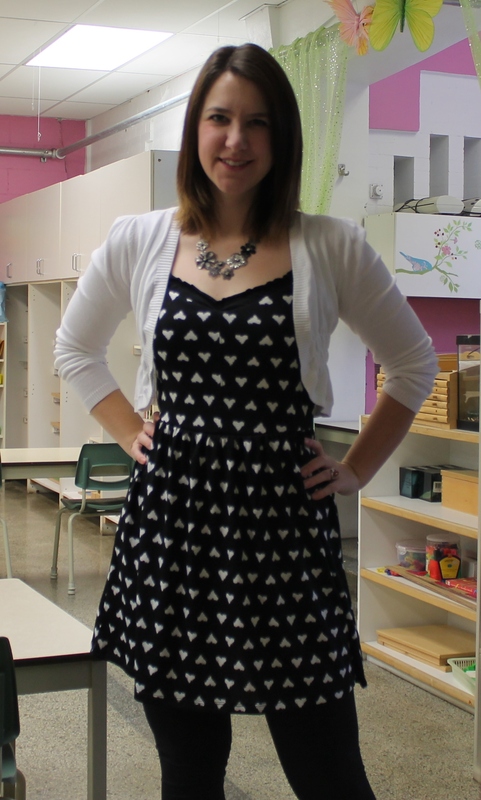 Day 16 – I’ve had this dress for years, but last year, when I did Dressember, it was a little too tight! I’m very happy it fits properly again. 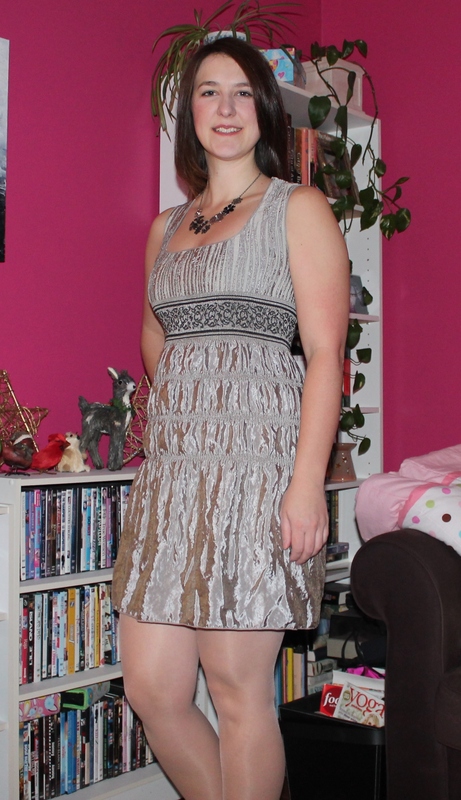 Day 18 – Another dress I’ve had for a while. 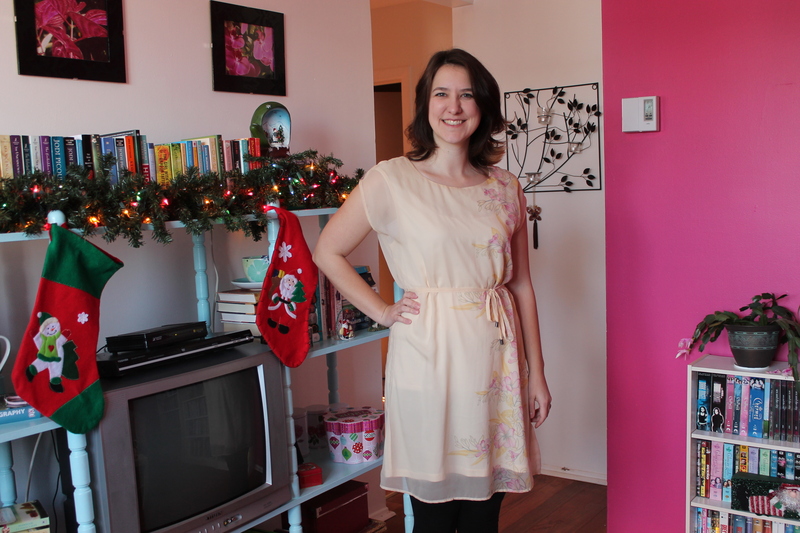 I’m loving how Dressember is making me rediscover some of my dresses! Day 19 – Two looks for the 19th, a day look and an evening look. 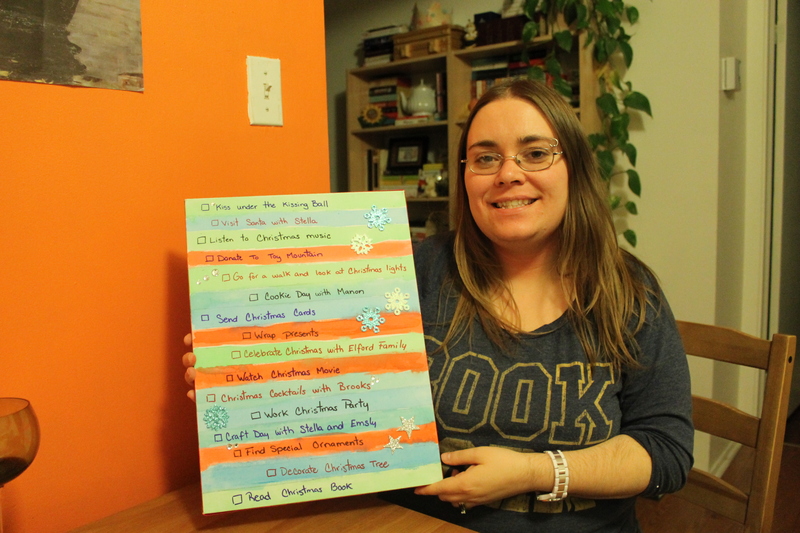 Day 20 – Some sparkle for Christmas brunch! 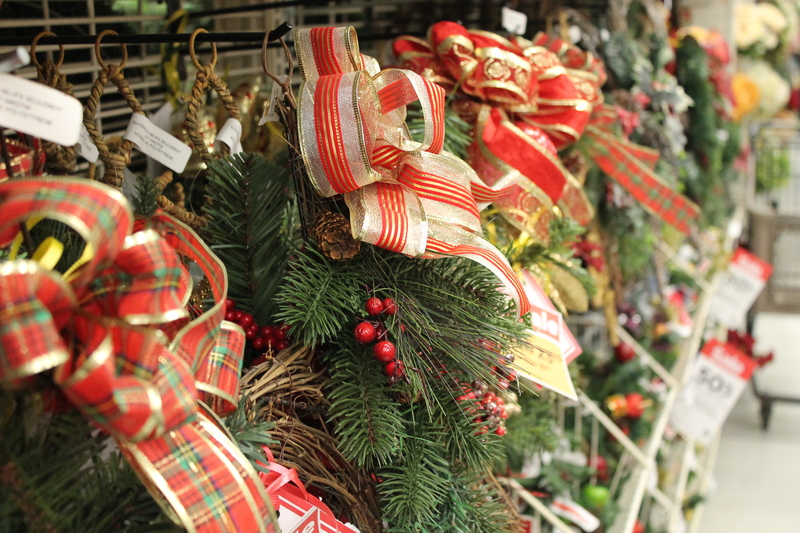 I’m one of those people who love Christmas. 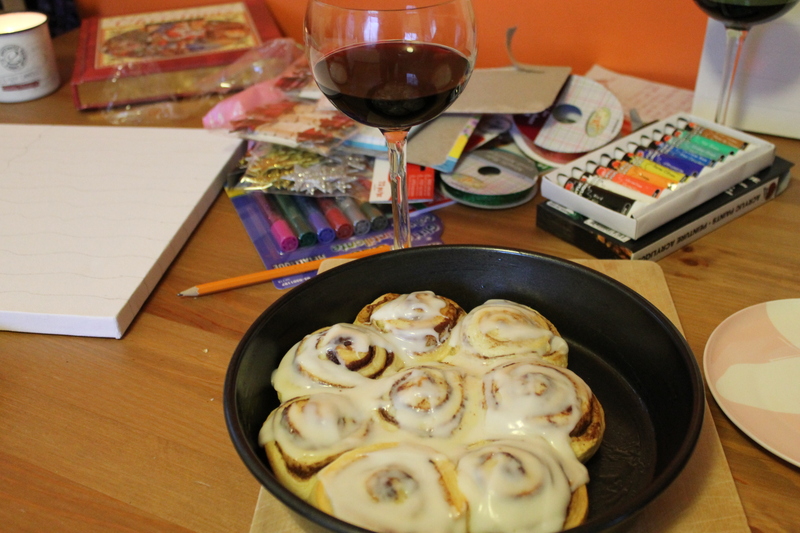 You know, the one with the million little lights, the Christmas music playing all the time and the cookies. So many cookies! 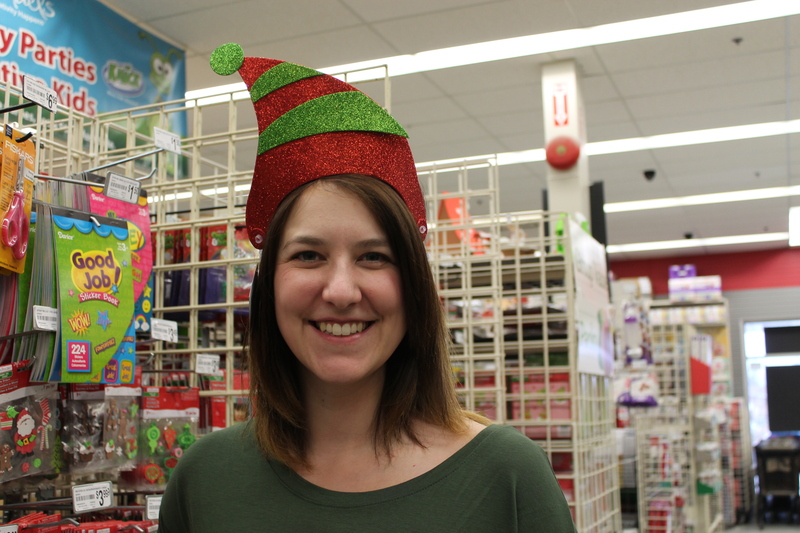 My friend Suzanne is just like me, and in November, we decided to have a Christmas craft day. 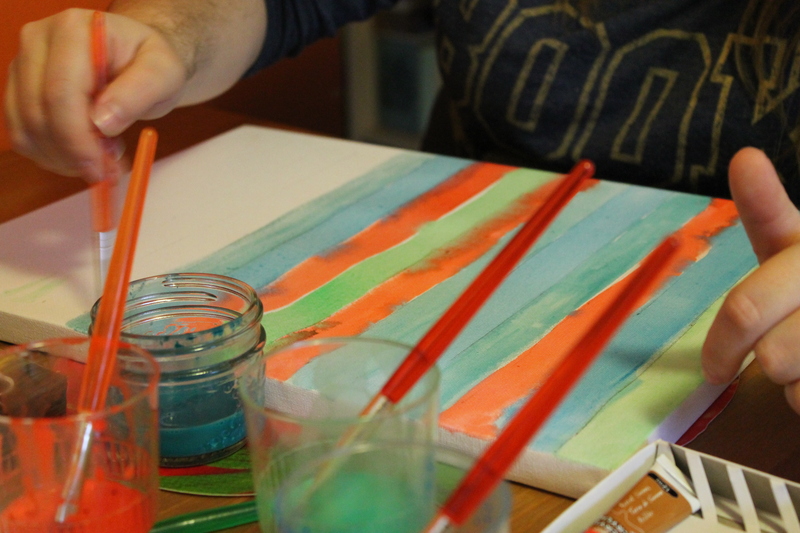 Neither of us is very crafty, but we had wine with our crafts, so it was all good. We decided to make Christmas lists. Suzanne’s was a list she could check off, and mine was a calendar. 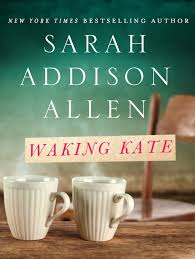 If we do it again next year, I’m going to make a list like hers instead of a calendar. 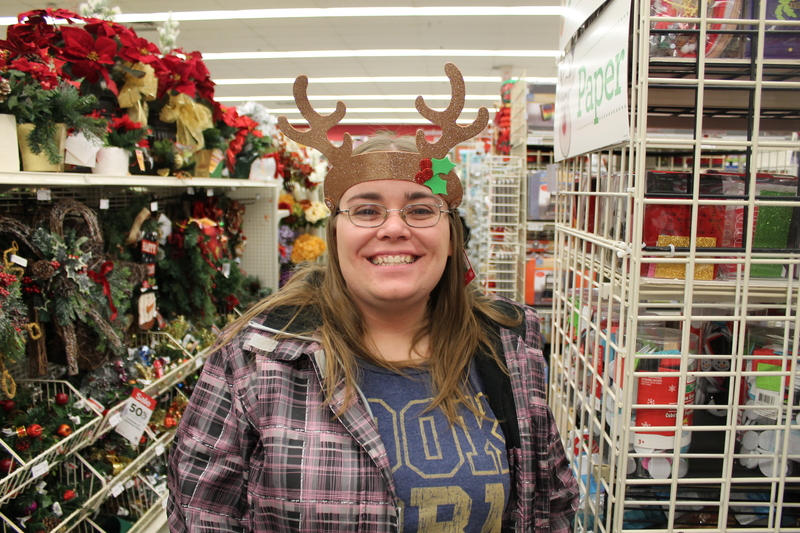 We started off by going to the craft store, where all kind of Christmas goodies and treats were just waiting for us to play with. I mean buy. 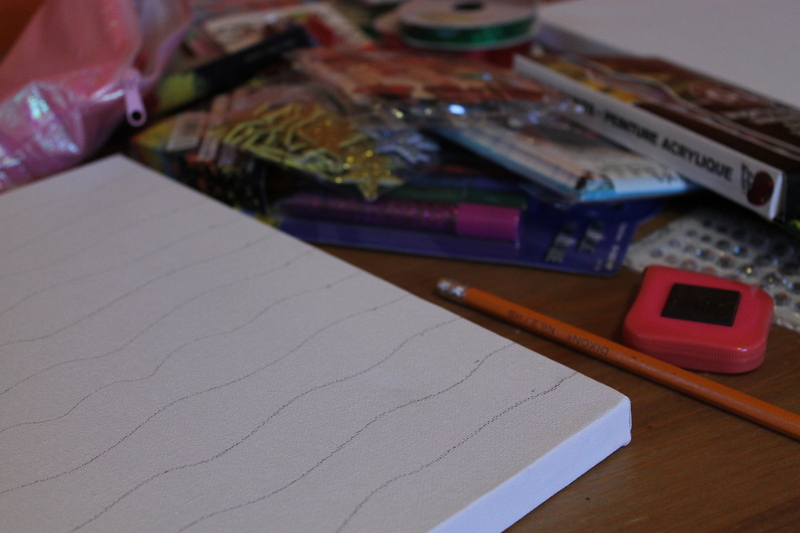 We set up our supplies and got to work. 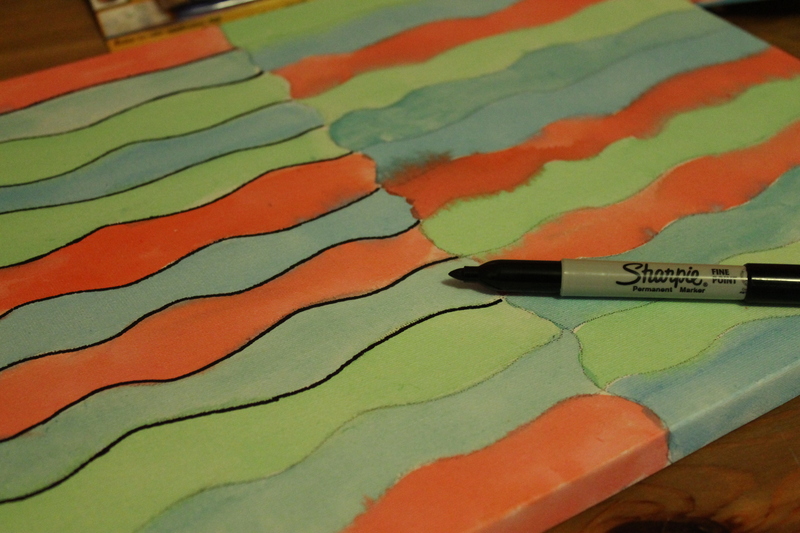 Drawing lines is hard work, so we had to stop and have a little break. We wanted to stick with Christmas colours, and it turned out really well. My calendar was pretty blank, because it was only November and I didn’t have my December planned out. 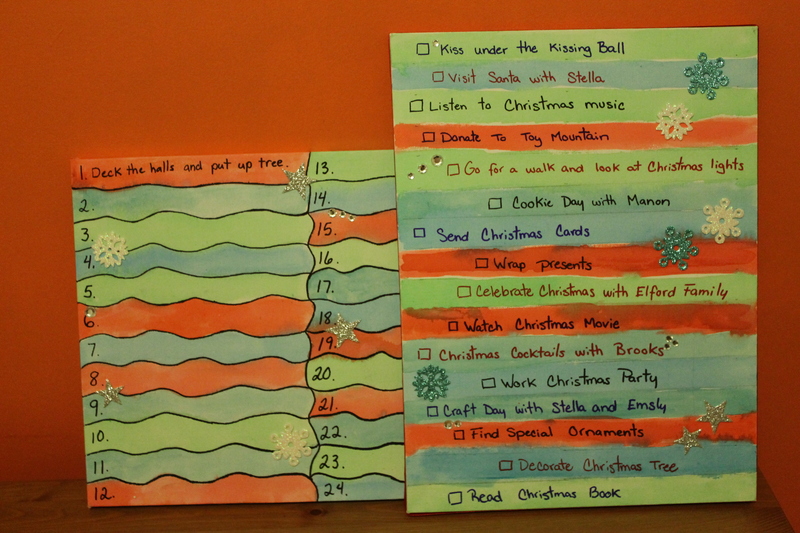 I am very happy with the way it turned out though, and my calendar now has many fun Christmas activities on it. Still, next year I’m making a list. Last year, in December, I took part in Dressember. 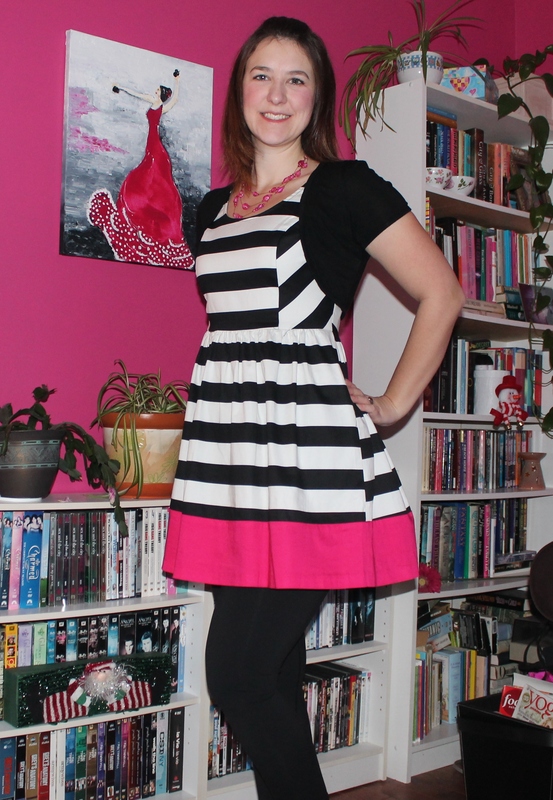 It’s a fantastic, amazing, fun, challenge where one wears a dress every day in December. 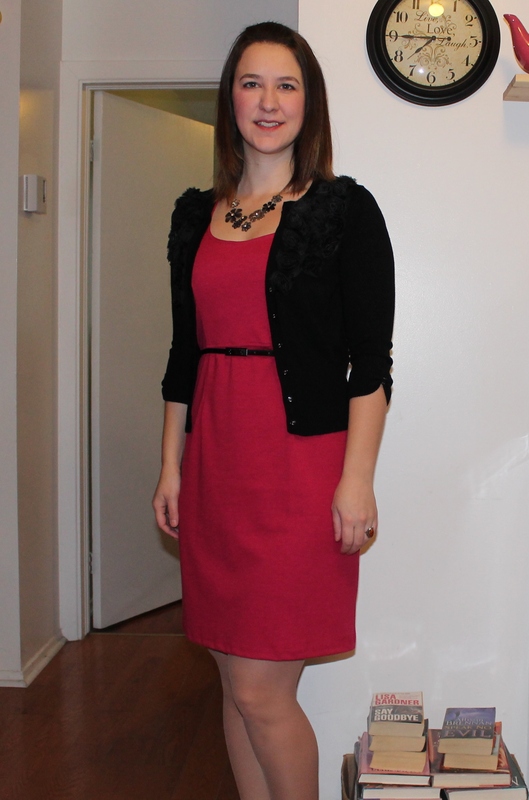 It was my first year participating, but I found a great online community of Dressemberites who made it even more fun! Some of the people have been doing it for a few years. 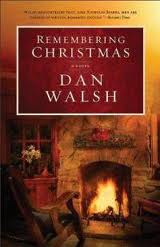 This year, however, there was a twist in the December world. 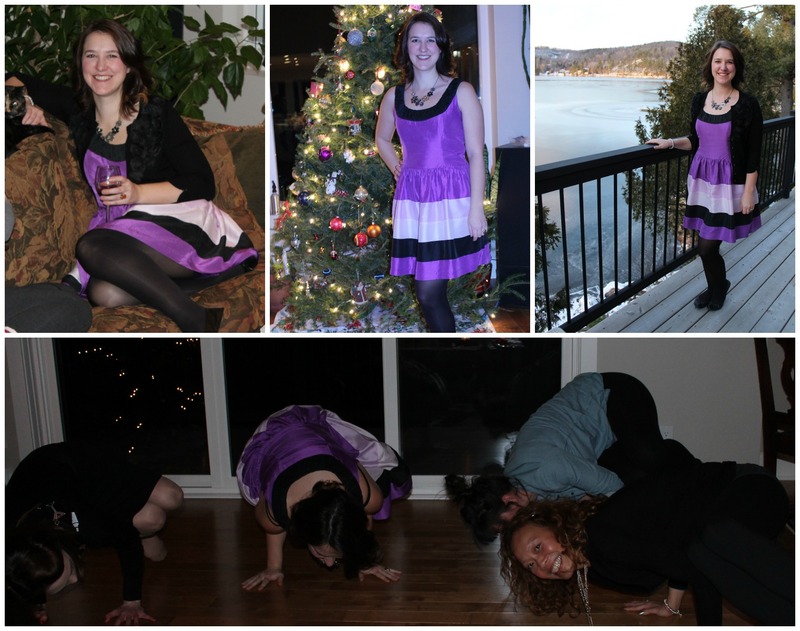 The person who started the challenge in 2009 decided to align Dressember with a charity. She chose the International Justice mission, which is great. What’s not great is that someone is claiming ownership of a word, a challenge, and a community. Our old Dressember facebook page was deleted and we had to change the name of our group. Lots of people donate and fundraise, but for various causes. 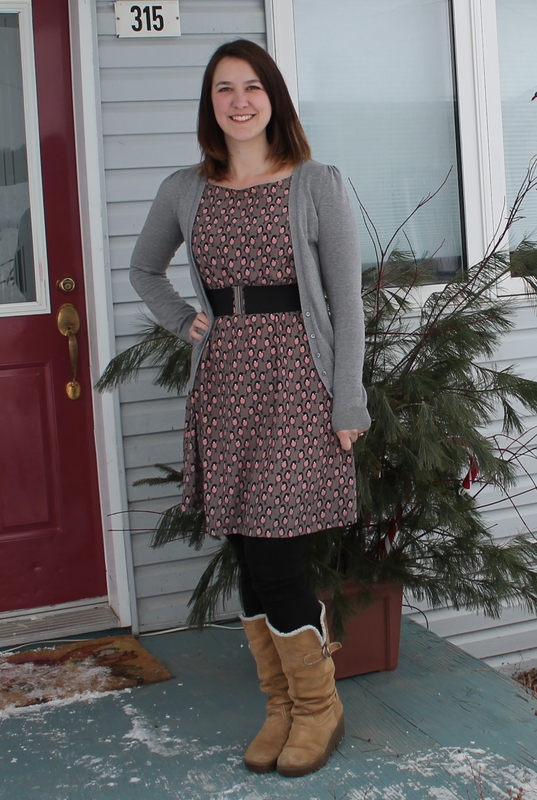 Even though I’m apparently not supposed to use the word anymore, it’s still Dressember to me! 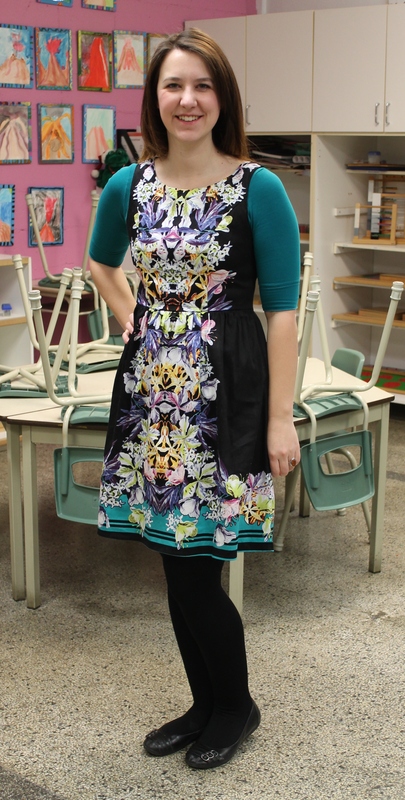 Day 3 – Max Studio dress. These dresses always fit me and look awesome, so I have to be sure I’m ready to buy before I try! Day 4 – On Wednesdays we wear pink! Hand me down dress from my mama. 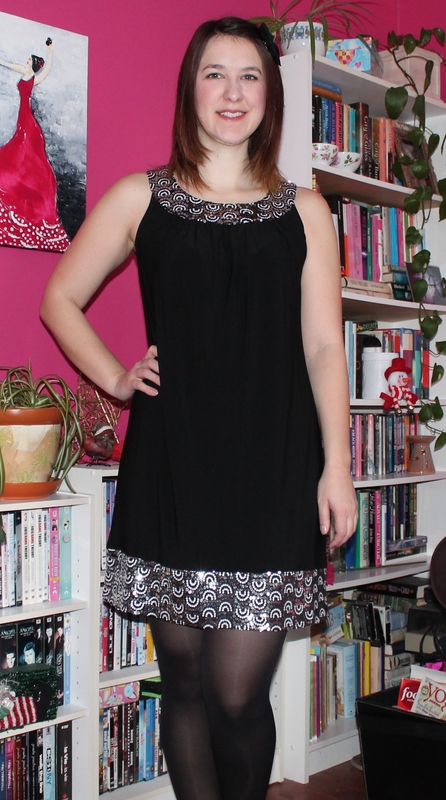 Day 5 – Hardtail leggings (my favourite) and dress from a friend who bought it, then decided she didn’t like it. 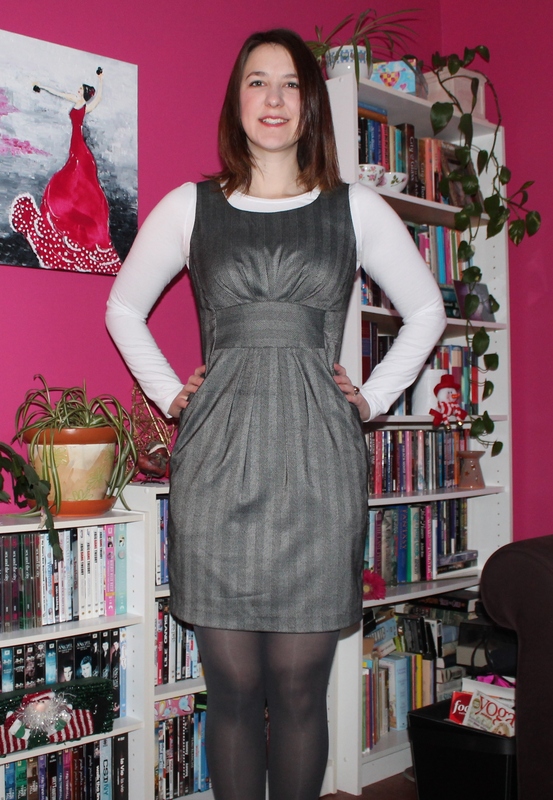 Day 6 – BeBop dress. One of my favourites. I bought it in the summer, and thought I’d have to put it away for winter, but it “winterizes” very nicely. 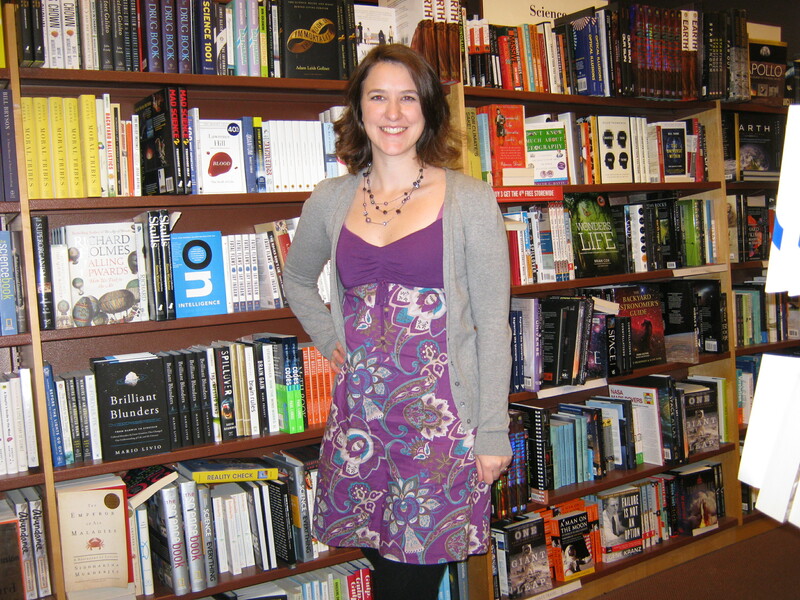 Day 7 – Purple silk party dress from Kensie. From a friend who didn’t want it anymore. Lucky me! 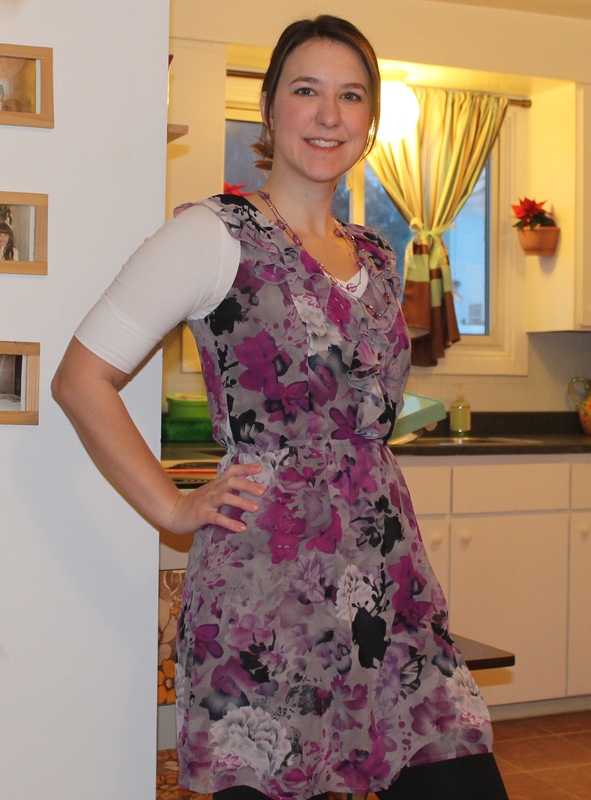 Day 8 – Comfortable dress for making cookies all day. 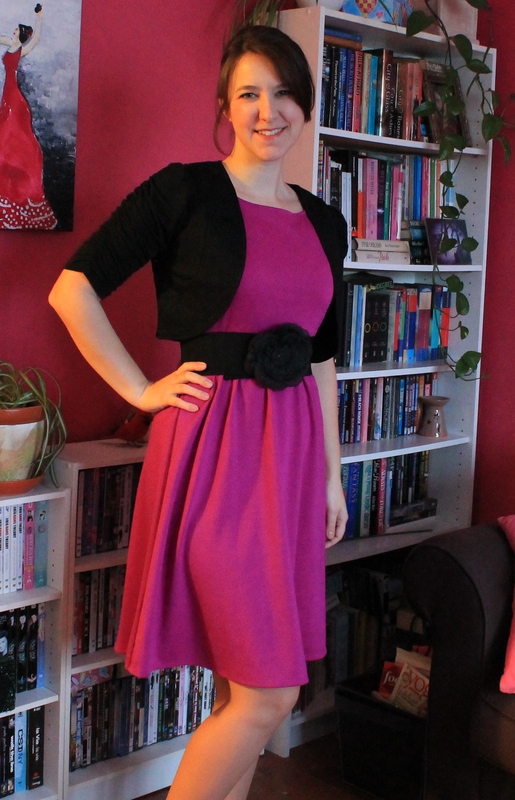 Day 9 – Purple Monday, this time with flowers. It’s not too late to join in the fun!